Last fall, when snap elections took place in Croatia due to the crisis in the senior coalition partner - the Croatian Democratic Union (HDZ), and the collapsed coalition was repeated, but with renewed, more moderate leadership, it seemed like the former Yugoslav Republic, despite the general trends in Central Europe and the EU in general, was heading towards normalisation. The former member of the European Parliament's foreign affairs committee and head of the Delegation for Relations with Ukraine, Andrej Plenković, assumed leadership of the HDZ and the government with a promise of moderation, rule of law, abandonment of the division rhetoric (Ustaše against Partisans) and for reforms. Changes in HDZ, like coupled vessels, brought changes to the other big party, the Social Democratic Party (SDP), where young Davor Bernardić won the leadership. The new political force MOST of Independent Lists (MOST NL) seemed ready to play the constructive role of a balance maker and a corrective. This was welcomed with relief by society. The media also reacted positively. It seemed like Croatia would finally break away from the grip of the past and deal with the future, which is facing serious problems, one of the most important of which is the rapid brain drain from the country after the fall of restrictions for Croatian nationals in some EU countries. Being a Brussels man, Andrej Plenković quickly introduced the European agenda in Croatian society by starting to report regularly in Sabor (the Croatian Parliament) after each European Council meeting, and his debut at a EU summit ended in the highest of Brussels standards – with a long briefing for journalists. All he had left to do was to consolidate his party and get rid of the far-right current in it, which at the very beginning showed that it would lower its head until a more opportune moment came to rise again. This current was personified by the controversial former minister of culture Zlatko Hasanbegović. Optimism and hope did not last too long. Inherited problems in the party, which considers itself to be state-building, and around the country began forcing the prime minister into taking hasty actions in the name of consolidation of the party. This was the case with the state-owned oil company Ina. The Ina case is deeply linked to the HDZ after the party itself and its former leader and prime minister Ivo Sanader were convicted of corruption. Ivo Sanader was doing prison time on charges of taking a bribe to sell a larger share of the company to the Hungarian oil company Mol. Because of these allegations, Croatia filed an arbitration case, which it lost in December. This led to Prime Minister Plenković’s first premature decision, which surprised many. Right on Christmas Eve he announced the government's intention to buy back the Hungarian stake and return ownership of Ina to Croatia, an idea that had no good market and even less fiscal argumentation. In the process of sever fiscal adjustment, money for such a purchase cannot be found without this leading to an even greater increase in public debt, which is expected to fall to 81.9% this year, or else a raise of taxes. It was quickly evident that this decision was not feasible and five months later it is not even discussed. Ina, however, remains an unresolved problem that will play the role of a mine for every government to follow. Around it, there is a thin thread of geopolitical element, for Russian company Rosneft had appetites for the company at the beginning and over the years the Hungarian company has been threatening to sell its stake in Ina to the Russians. Right into Andrej Plenković’s face blew up another mine – the one with Slovenia about the Gulf of Piran, which had also been planted a long time ago – back in 2001, when the prime ministers of Croatia and Slovenia at the time - Ivica Račan and Janez Drnovšek - signed an agreement to settle the border dispute around the Gulf of Piran, providing Slovenia with access to international waters. The agreement has never been ratified by Croatia and was one of the most serious obstacles for the country on its way to EU membership. After Slovenia blocked the negotiation process with Croatia, an agreement was reached with European Commission mediation to settle the dispute by arbitration. In 2015, however, Croatian media revealed that the Slovenian member of the arbitration tribunal had exchanged information on the course of the case with the Slovenian foreign ministry. The government of Zoran Milanović, with the full support of all political forces in the Sabor and the media, decided to withdraw Croatia from the arbitration tribunal. Changes voted in December, agreed on with the participation of Prime Minister Plenković, in European and Schengen legislation about strengthening control at the EU's external borders in response to the increased risks of terrorism, have led to a new cause for tension between the two countries. Slovenia stepped up border controls, which led to the formation of mile-long queues at Croatian-Slovenian border crossings. At peak times, travellers waited for hours to cross the border. The problem again was resolved with EC intervention, with the mediation of which an agreement was negotiated at the extraordinary European Council on 29 April. The cherry on the cake, however, was the near-collapse of the largest Croatian conglomerate, Agrokor, which has subsidiaries throughout the region of the former Yugoslavia, and employs more than 60,000 people. Dark clouds on the horizon emerged in January when credit rating agencies downgraded Agrokor's credit rating due to doubts expressed by some of its biggest lenders about the ability of the group to service its debts. It is not easy to navigate the complex story of the conglomerate downfall, but there are a few things that are undoubtedly clear: Agrokor is a legacy of the ever-difficult transition from a Communist economy to a market one; the state, consciously, unconsciously, or both, has closed its eyes to the unnatural expansion of Agrokor to a conglomerate of systemic importance for the economy; throughout the whole story runs a solid geopolitical element; and an unpleasant dose of politicisation. The mine in Agrokor was planted with the model of privatisation. The company began to absorb key monopolistic companies over the years, thus turning the state monopoly into a private one under the tacit consent of the state. The conglomerate owns Dijamant a.d., the largest producer of edible oils in Serbia, one of the largest meat processing companies in Croatia PIK, the largest salt producer Solana Pag d.d., the largest agricultural company and winemaker Belje, Serbia's largest ice cream and frozen food company Frikom, Croatia's largest producer of mineral, spring water and beverages Jamnica, Croatia's largest ice-cream and frozen food producer Ledo d.d., the best selling water in Bosnia and Herzegovina Sarajevski kiseljak d.d., the greatest edible oils producer in Croatia Zvijezda d.d. The conglomerate is also the owner of the largest chain of supermarkets in Croatia and the region Konzum d.d. The last big expansion of the company was the purchase of the Slovenian state-owned trade mastodon Mercator in 2014. Analysts believe that with this acquisition Agrokor was virtually overeating. The purchase happened a year after Croatia's accession, when its market joined the single European market and competitive pressure grew considerably. This is always a challenge for companies with monopoly power and, in general, for countries that have failed to complete the transition to a full-fledged market economy. According to a survey from last year of the European Commission's Directorate-General for Economic and Financial Affairs, Croatia has a large and diverse portfolio of state-owned or partially state-owned companies. The government is a majority shareholder in 85 companies and holds minority stakes of over 25% in another 50 companies. The remaining 600 companies are identified as being under state control as they are under the control of regional or municipal authorities. According to this study, the public corporate sector has a significant share in the Croatian economy. Agrokor is a private company, but it is determined to be systemically important, that is, it employs many workers, has a dominant position on the market, many companies are connected to it, and has enjoyed privileges over the years. Its total share in the gross domestic product of the country is about 4%, with decreasing trends. This means that an uncontrolled bankruptcy of the company could lead to turbulence in Croatian economy and the region in general. According to the latest report [in Croatian language] by the Croatian National Bank (HNB) on financial stability, the situation in Agrokor has increased the risks to the economy, despite growth in the economy and good macroeconomic indicators. In its spring forecast, the European Commission also referred to Agrokor as a source of risks to the economy. "Industrial production, however, deteriorated somewhat – particularly in the consumer goods segment. This was possibly related to the distressed food processing and retail group Agrokor – Croatia’s largest employer – which faced severe difficulties in (re)financing its liabilities earlier this year", says in the forecast on Croatia. Government actions in the Agrokor crisis were quick, cool and resolute. For a record time, a law on the restructuring of systemic companies was adopted, which faced criticism about being unconstitutional, but it helped avoid a disorderly bankruptcy with unpredictable effects for the entire economy, which had just emerged from a 6-year recession two years ago. That would have been a huge blow to the economy and especially to the level of unemployment, which is already high in Croatia - expected to be 11.6% this year. The rapid mastering of the situation was also dictated by the need to avoid a geopolitical moment - again the role of Russia. The Kremlin-sponsored Sberbank is Agrokor's largest creditor. Croatian media reported that the crisis in the conglomerate was actually provoked by Russia because of Prime Minister Andrei Plenković’s position on the conflict in Ukraine. Several publications in Croatian media have indicated that the fall of Agrokor started the moment Russian ambassador to Zagreb Anvar Azimov declared the company unable to pay its debts. This also led to a downgrading of its credit rating. In the very beginning, when the company began having liquidity troubles, Sberbank demonstrated its will creditors to take over the management. A possible acquisition through debt would have provided Russia with a significant presence on the Croatian and regional markets. However, the newly adopted special law requires the company to be run by a government-appointed commissioner whose role is to supervise the process of restructuring. The law also defines the order in which the debt is to be paid. It would have all ended beautifully, had it not been for the finance minister. The young and capable Zdravko Marić, who was finance minister all the way back in the first government of HDZ and MOST NL, led by Tihomir Orešković, was until recently one of the most positive figures. With his expertise, he managed to bring Croatian finances to stabilisation and to the exit from the excessive deficit procedure, which was announced on Monday (22 May). His problems began with being a former senior employee of Agrokor and the opposition, including coalition partners from MOST NL, saw this as a conflict of interest. They accused him of being aware of the state of the company, but not taking the necessary measures. Thus the situation was a great opportunity for the opposition to gain points against the background of the Social Democrats’ declining rating under the leadership of Davor Bernardić. The Social Democrats and the Liberals demanded that the minister resigned. They were also joined the junior partner MOST NL. Day X for the government was April 26, when the prime minister and almost the entire government attended an official lunch organised by the Croatian Employers' Association (HUP) where the government's measures to tackle the Agrokor crisis were commended. Unlike previous meetings with government officials, this time employers refrained from criticism. One of the reasons was that many of the members are suppliers to the conglomerate and hope to cash in their claims. The prime minister began by saying that the most important thing was to ensure political stability. He explained that the emergency situation required emergency measures and promised that the government would take on other vital reforms for Croatia, especially in the field of education. On the next day, government was expected to announce its decision on Zdravko Marić’s future. Contrary to any expectations, instead of sacrificing him for the sake of political stability, Andrei Plenković decided to protect him at the cost of serious political instability. In addition, the prime minister, without blinking an eye, fired the coalition partner's ministers, which provoked sharp reactions and accusations of authoritarian practises. The debates on the motion for Mr Marić’s resignation went on for almost 24 hours and brought considerable losses to the government. MOST NL lost its speaker position of the Sabor, and the government is in a stalemate, as it is still unclear whether they have a sufficient majority in Parliament to continue governing. 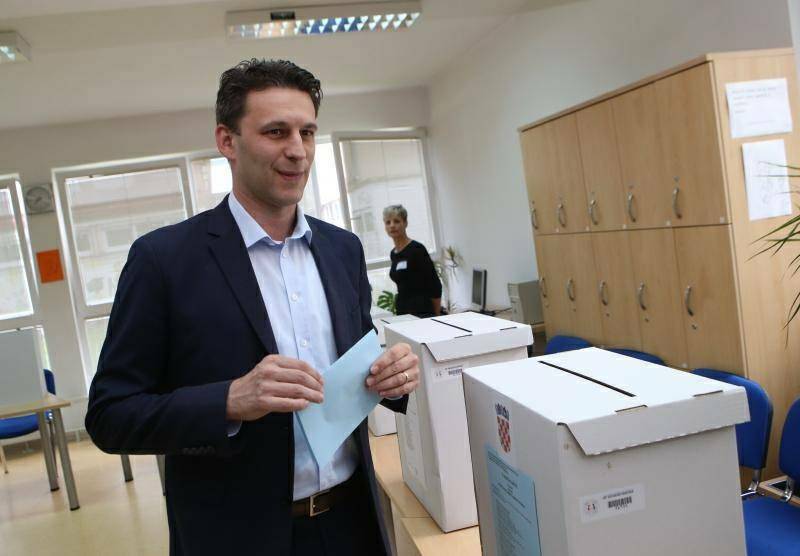 Prime Minister Andrei Plenković announced that the seats of the coalition partner in government will be filled after the local elections, the first round of which took place on Sunday. The results, however, do not give much clarity. Virtually everyone is losing. Moreover, the crisis has led to the re-opening of the HDZ division lines. The far-right stream saw a great opportunity for itself in the local elections. Zlatko Hasanbegović was supporting the nomination of the Croatian Marine Le Pen - Bruna Esih - for mayor of Zagreb. Andrei Plenković refused to take serious steps against the rebellious Hasanbegović, counting on him filing his own resignation, as he did. 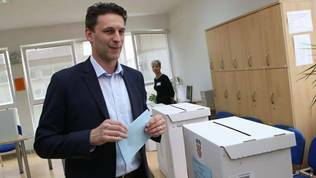 Bruna Esih's results in the first round were twice higher than the HDZ candidate Drago Prgomet. She won 10.98% of the votes, and Prgomet - 5.60%. 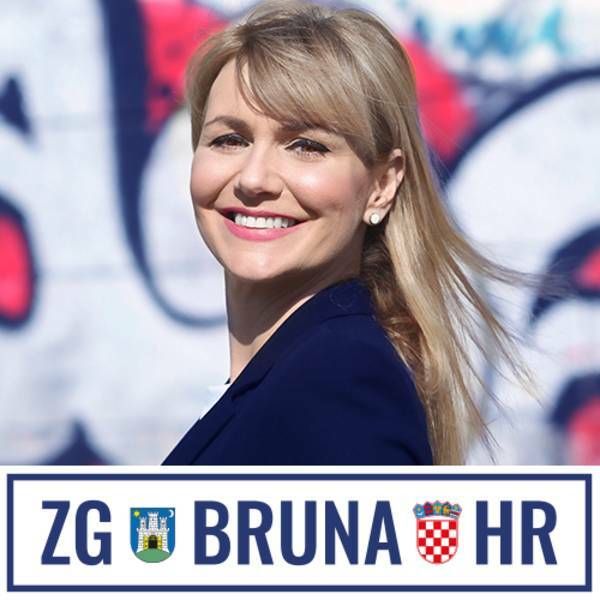 Bruna Esih entered the Sabor in the parliamentary elections on September 11 through the HDZ list, gaining 16.77% of the votes thanks to the preference option. After her result at the local elections, Zlatko Hasanbegović announced the creation of a new party. This could lead to others with rather nationalistic views leaving the HDZ. Despite the debacle in Zagreb, the HDZ performed better than at previous local elections elsewhere in the country. 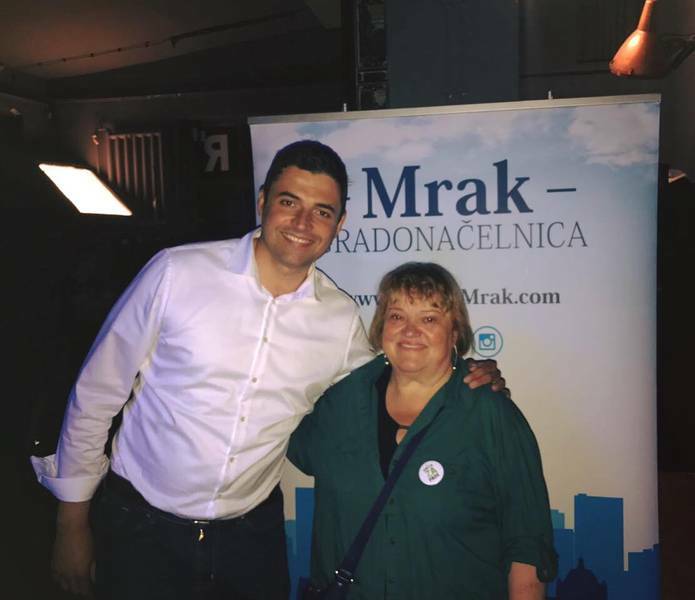 The big losers in the first round are SDP, who are going to a second round in Zagreb thanks to the Liberals' candidate Anka Mrak Taritaš. SDP claims that, thanks to their support, Mrs Taritaš has won 24.48%, but SDP results across the country tell a different story. MOST NL has also suffered considerable losses, in its fortress in Metković at that, where their candidate goes into a second round. There she will compete with the HDZ candidate. MOST-ers lost their full majority in the municipal council, where they have 40.65% of the votes, followed closely by HDZ with 38.13%. These elections may be the beginning of the end of the party. The Eurosceptic and populist party "Living Wall" is completely obscure in these elections. This picture shows that all parties have to seriously analyse their state and the reasons for the results at the local elections. They also show a 50/50 probability for snap elections. One needs to wait for the second round so one can better judge the prospects for new elections, which no one has any interest in so far. The HDZ remains the strongest party, but its stability is shaken, and certainly will not be able to win sufficient majority to be able to govern alone. The SDP, with its leadership, has no strength to confront the leadership of the right. Its weakness gives HNS, their permanent coalition partner, a chance to play alone and raise their price after they experienced a significant drop in support in the years of governance with the SDP (in some cases as much as 2%). Zagreb will be decisive, as mayor Milan Bandić’s party has representatives in parliament, and if he wins in the second round he could help Plenković stay in power. Invincible Milan Bandić, who was suspected of corruption on numerous occasions, but never has enough evidence yet been gathered to accuse him, won the most votes on Sunday - 30.87%. If elected in two weeks, it would be his sixth consecutive term. 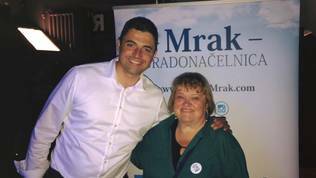 A possible victory for Anka Mrak Taritaš will feed new energy into the HNS and raise the price of the party on the parliamentary stock exchange. The eventual fall of the government and new elections would mean a new cycle of uncertainty over Croatia, another postponement of vital reforms, and a boost for growth in nationalist sentiments that have become more and more noticeable over the past two years with the HDZ coming to power. All this is followed by an increase in the outflow of Croats to richer and more settled countries in the EU. The latest hit on the music scene these days in Croatia is the Detour band song "I Choose" that best sums up the situation. "I choose you are gone, I choose not to be angry anymore. Guess where we go, when we are ruled by goons and in-laws, keeping cities hostage, building temples. So I finally cracked like a popcorn and f*ck them all money-chasers, plagiarists, wrapped in the flag".